RALEIGH, N.C. (AP) — Quarterback Sam Howell of Indian Trail Sun Valley and Charlotte Vance linebacker Power Echols are The Associated Press offensive and defensive prep football players of the year in North Carolina for the 2018 season. East Forsyth’s Todd Willert is AP coach of the year after an unbeaten 15-0 run to the Class 4-A state championship. 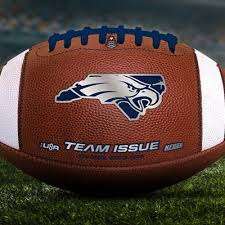 Willert led the Eagles to a 35-28 win over Scotland County to win the 2nd state championship for East Forsyth and the first since 1992. Echols led the 32-player AP all-state team, appearing on 15 of 17 ballots from statewide sports writers in results released Friday. The sophomore was among three all-state picks for Vance, joining Andre White at tight end and defensive back Xavier Marshall for the state 4-AA finalist. Clayton and Cornelius Hough were the only other schools with multiple all-state picks. Clayton had defensive lineman Savion Jackson and defensive back William “J.R.” Walker. Hough had defensive back Tyus Fields and punter Conner Maynard. Howell, a senior who committed to Florida State before signing with North Carolina, earned 13 votes along with Mount Airy receiver Donavon Greene and Elizabeth City Northeastern defensive lineman Traveon Freshwater — an East Carolina signee who made the team for a third straight season. Walker, Fields, Greenville Conley receiver CJ Johnson and Belmont South Point offensive lineman Larry Dowdy were all-state picks for the second straight year. The 2018 Associated Press all-state prep football team for North Carolina, as selected by a panel of 17 sports writers at newspapers across the state. Players at all positions are listed alphabetically with name, school and class. Athlete — Travion Canada, Reidsville, sr.
Coach of the year — Todd Willert, East Forsyth. Offensive player of the year — Sam Howell, Indian Trail Sun Valley. Defensive player of the year — Power Echols, Charlotte Vance. Paul Durham, Wilson Times; Samuel Evers, Rocky Mount Telegram; Jake Keator, The Daily Reflector of Greenville; David Kehrli, The Times-News of Burlington; Mike London, Salisbury Post; Brian Meadows, Statesville Record & Landmark; Chris Miller, The Daily News of Jacksonville; Jonas Pope IV, The Herald-Sun of Durham/The News & Observer of Raleigh; Paul Schenkel, The News Herald of Morganton; Jaclyn Shambaugh, The Fayetteville Observer; Malcolm Shields, The Daily Advance of Elizabeth City; Joe Sirera, The News & Record of Greensboro; Jay Spivey, Winston-Salem Journal; David Thompson, The Citizen-Times of Asheville; Richard Walker, Gaston Gazette/Shelby Star; Langston Wertz, The Charlotte Observer; Alan Wooten, The Bladen Journal of Elizabethtown.